At our March 2013 meeting Dorothy Browne Haines shared her collection of photos and extensive knowledge about printing in the 20th Century through her family’s business: The East Side Print Shop and the East Side News newspaper, which they published for almost 40 years (1924 – 1962).Copies of the newspaper are on microfilm and available for viewing in the Wisconsin Historical Society Library. 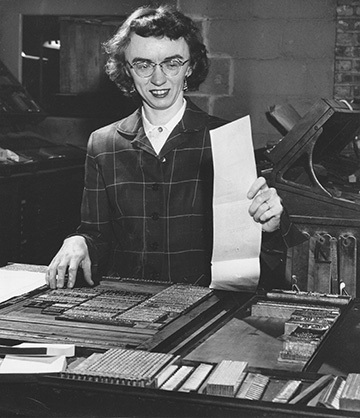 Dorothy Browne Haines when she first joined the firm in 1952. Marshall Browne Sr. started the East Side News because he felt a community publication with the personal touch of the old hometown newspaper could help the East side which felt a little left out of city affairs. Browne felt the East Side News contributed to community consciousness in covering East side news usually neglected by the daily newspapers. The East Side News emphasized news of local businesses, schools, churches, youth organizations and local government when it directly affected East-siders. Browne is proud of the fact that in its 38 years the East Side News never published news of murders, crimes, divorces and scandals. His goal in fostering the East side spirit was not to isolate the area but rather to emphasize that the East side is an important part of Madison. 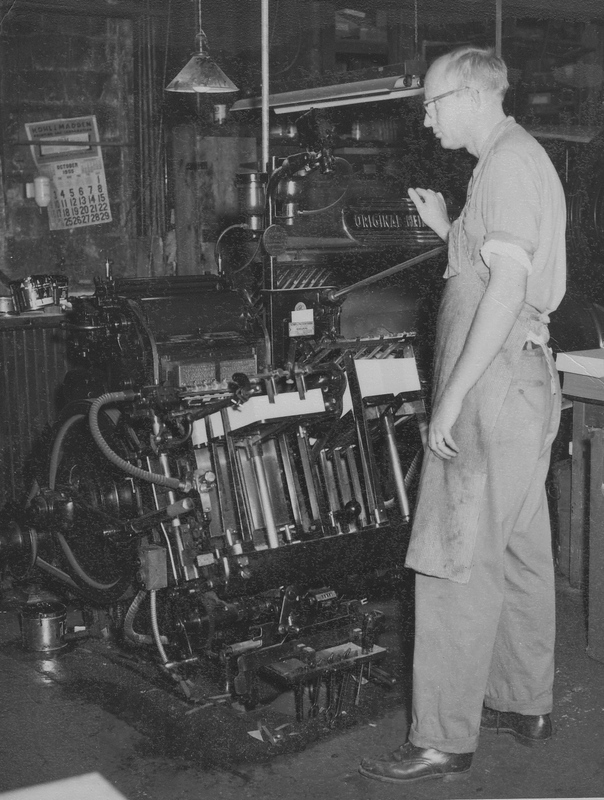 His son Marshall Browne Jr. joined the firm right out of college and became an accomplished printer. His daughter Dorothy Browne Haines joined the firm in 1952 as a reporter and photographer and became the business manager. 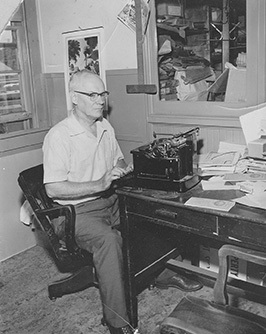 When Browne Sr. retired Marshall Jr and Dorothy renamed the business Impressions and continued to do printing until they sold the business in 1982 and retired themselves. The East Side News and Print Shops stood at the corner of Second Street and Winnebago Street. Royal Eklof at a press purchased in the 1950s. 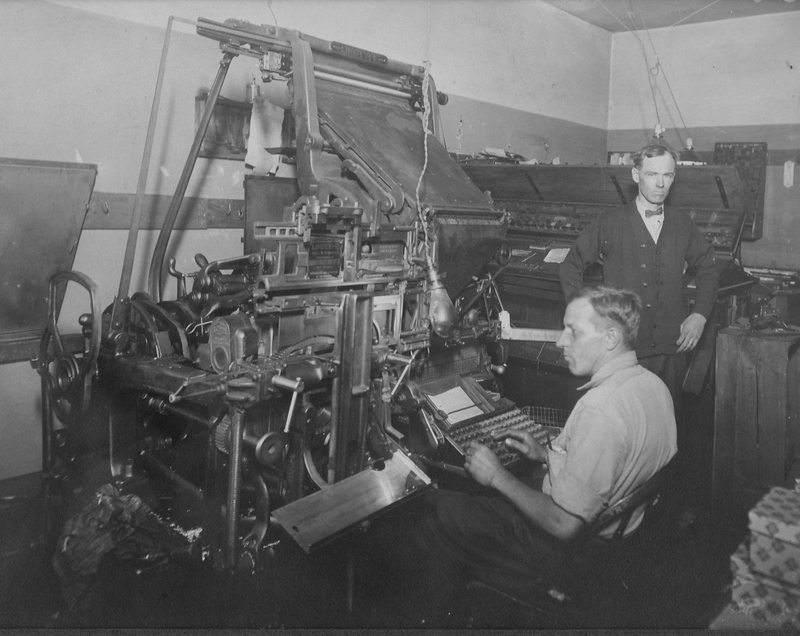 East Side Print Shop composing room with linotype machine and operators.